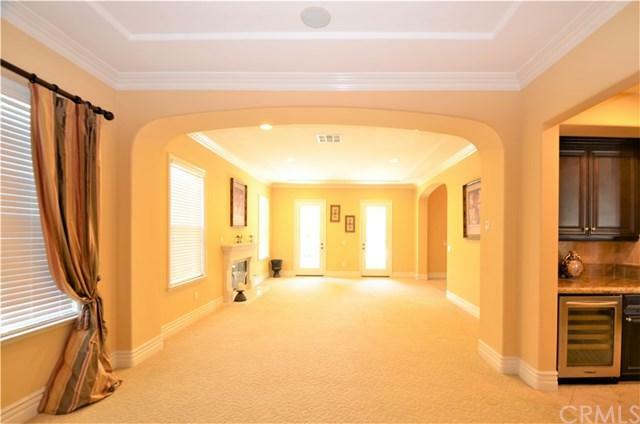 8212 Tender Way, Corona, CA 92883 (#300967179) :: Ascent Real Estate, Inc.
Live in Style in Corona's Premier Gated Community, "The Retreat".. Approximately 4800 Sq/Ft, 5 bedrooms ( 1 Down ) 4 1/2 Baths, Grand Entry with 18 Foot Ceilings and Wrought Iron Staircase, Polished Travertine Floors, Gourmet Kitchen, Stainless Steel Appliances, Built in Refrigerator, Pot Filler, 6 Burner Stove, Pot Filler, Glass Inserts on Cabinet Doors, Walk-In Pantry, Granite Counters, Travertine Backsplash, Breakfast Nook, Built-In Desk, Under Cabinet Accent Lights, Spacious Family Room, Surround Soun Live in Style in Corona's Premier Gated Community, "The Retreat".. Approximately 4800 Sq/Ft, 5 bedrooms ( 1 Down ) 4 1/2 Baths, Grand Entry with 18 Foot Ceilings and Wrought Iron Staircase, Polished Travertine Floors, Gourmet Kitchen, Stainless Steel Appliances, Built in Refrigerator, Pot Filler, 6 Burner Stove, Pot Filler, Glass Inserts on Cabinet Doors, Walk-In Pantry, Granite Counters, Travertine Backsplash, Breakfast Nook, Built-In Desk, Under Cabinet Accent Lights, Spacious Family Room, Surround Sound Speakers and Entertainment Niche . 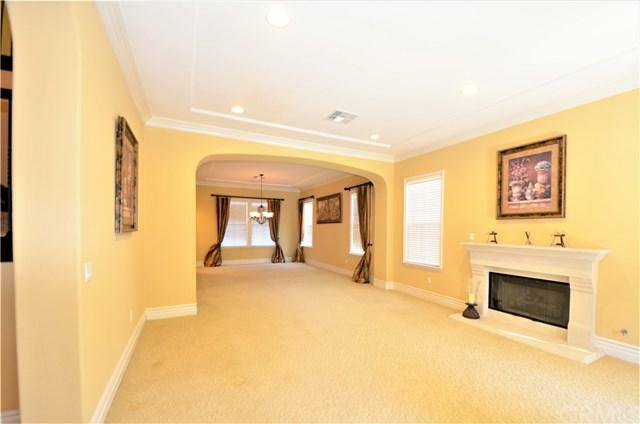 Upstairs has 4 Bedrooms, 3 Baths, Jack n Jill Bedrooms, Bonus Room, Sconces, Crown Molding, 7" Baseboards, Ceiling Fans in All Secondary Bedrooms, Huge Master Suite, Coffered Ceiling, View Deck, All Granite Counters and Tub Surround, Polished Travertine Shower, Spa Tub,Vanity and His n Her Walk-In Closets. Pool Size Yard, Built-In BBQ, Outdoor Fireplace, Stucco Patio Cover, 3 Car Garage, Epoxy Floors , 10,890 Sq/Ft Lot, Built in 2005 and Close to Great Shopping, Theaters, Restaurants, Golf Courses Walking Trails and Freeways! !